SAW oscillators are widely used in wireless applications, since the technology features "very low phase noise at fixed frequencies through about 3 GHz. SAW resonator oscillators are also known for their low microphonic (tolerance to vibration), high quality factor (Q), and low jitter. Unfortunately, SAW oscillators have several disadvantages, including a limited operating temperature range and limited tuning range (which limits the amount of correction that can be made to compensate for the tolerances of other components in the oscillator circuitry). In addition, since the designof a new SAW oscillator is much like that of an integrated circuit (IC), development of an oscillator with a nonstandard frequency requires NRE costs on the order of $10,000, in addition to the costs of the oscillators. Ceramic resonators are not without flaws, however, since they are susceptible to microphonic noise as well as jitter, and they exhibit low Qs compared to SAW resonators. For the most part, these disadvantages have been overcome by means of a novel oscillator topology (for which a patent has been applied) and integrated control circuitry, using cascaded regenerative filtering of the oscillator active-device emitter and feedback. Feedback resistance is incorporated in the topology to reduce thermal drift over a wide temperature range. The patent-pending approach includes a methodology for coupling resonators to enhance the dynamic Q. With a coupled-resonator circuit, the phase-noise performance can be improved and the frequency range can be extended to C- or X-band. The novel oscillator topology results in CROs capable of operating over a temperature range as wide as -40 to +85°C with minimal frequency drift due to temperature. As an example of the technology, a CRO (Fig. 1) was developed for use at 2488.32 MHz. A comparison of the CRO with a SAW oscillator at the same frequency (see table) reveals remarkably similar noise performance and tunability. Computer-aided-engineering (CAE) modeling tools used in the development of the 2488.32-MHz CRO proved to be accurate in predicting expected performance, when compared to measurements (Fig. 2). 1. This low-cost surface-mount 2488.32 MHz coaxial-resonator oscillator offers low phase noise over a wide temperature range. 2. 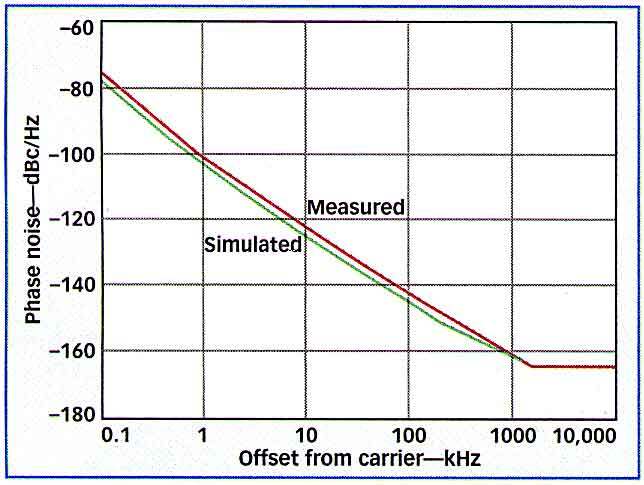 The measured phase noise of the2488.32-MHz CRO compares closely with modeled performance. The CRO design approach was also used to create a CRO at 1000 MHz. 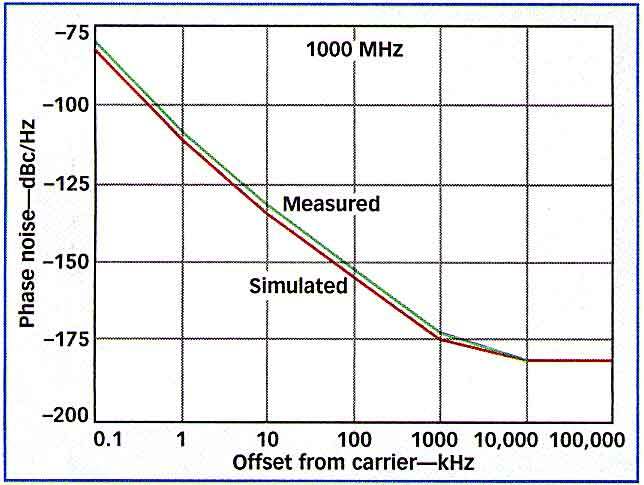 It shares the phase-noise performance (better than -130 dBc/Hz offset 10 kHz from the carrier) of the higher-frequency CRO (Fig. 3), with an operating-temperature range of-40 to +85°C. 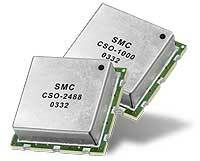 The oscillators are supplied in surface-mount packages similar to those used for the company's voltage-controlled SAW oscillator (VCXO) line. D. Ham and A. Hajimiri, "Concepts and Methods in Opti mization of Integrated LC VCOs," IEEE Journal of Solid-State Circuits, June 2001.